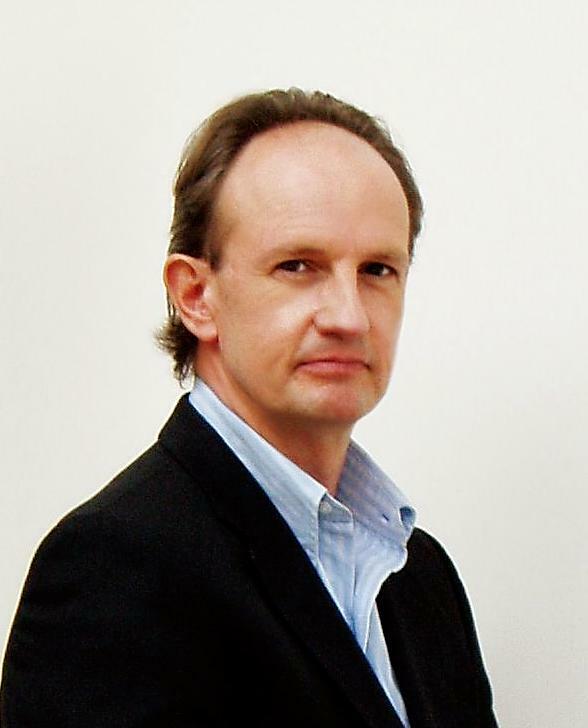 Richard Godwin has travelled extensively and lectured, and worked in property. Many of his stories have appeared in magazines. His works in print include ‘Chemical’, published in the Anthology Back in 5 Minutes (Little Episodes Publishing 2010), ‘Doll’, published in Howl: Tales of the Feral And Infernal (Lame Goat Press 2010), 'Face off' in CrimeFactory Issue #5 (CreateSpace 2010), 'Pike N Flytrap' in Needle Magazine (Lulu 2010) and 'Mother' in Tainted Tea (Lulu 2011). His Chin Wags At the Slaughterhouse are interviews he has conducted with writers and can be found at his blog on his website where you can also find a full list of his works and a video ad for his new book. He divides his time between London and the US. Writing Apostle Rising was a labour of love. As Elmore Leonard said you’re not going to write a million words for the money. You do hope you will reach an audience and some recognition at the end of the writing process. As a produced playwright I put a lot of dialogue on my novels. The story should tell itself. I sent it out to agents and publishers a got a contract from one of them. The Society of Authors said that it was not a particularly good contract and suggested I self-publish. The conversation I had with the member of staff there showed me clearly that self-publishing is part of a changing landscape where old prejudices are being shed. It is important to draw a distinction here between self-publishing and vanity publishing. The former involves your own investment, the latter investment in a company that will produce your book and often do little else. It is important to challenge the unnecessary and often snobbish stigma attached to self-publishing. GP Taylor self-published and is a millionaire after Faber and Faber capitalised on his sales. Trollope was one of the first self-published authors, an author who is on the A level reading list and often touted at universities as an example of a great Victorian novelist. If you believe in your product you will want to sell it. Selling a book is hard because unlike the new butter a mother may like and will buy again and again most people only buy a book once. That is why publishers are cautious. It doesn’t mean that all the published books are good or you will like them. I believe in Apostle Rising. I passionately believe it is a great story. I decided to self-publish. What did I learn? The two key things I learned is that without a distributor you are nowhere in the publishing world. Getting a wholesaler is easy. You need a distributor who will offer fulfilment and sales. That means they have a sales team who will chase up book buyers at the major retailers. There is a lot of information on the internet and a lot of books about self-publishing. Start off by getting your novel proofread. You also need a typesetter. Get an Advanced Reading Copies printed and send them to as many reviewers as you can. Hiring a PR person is useful for this. I have two, one in the UK one in the US. Use a good printer. Make sure as many people know about your novel as possible. The internet is useful for this. Then try to secure author comments. I made friends with a bestselling novelist on Twitter and he gave me a great blurb. Twitter works. Get the book reprinted with the blurb on the back. The front cover is critical. I hired a great graphic artist who designed mine and he also created a logo for my name. You have to buy an ISBN number for your book. Nielsen sell them for relatively little money. You can set up a company cheaply and set up your own publishing house. You may publish other authors. Contact Waterstone’s and let them know your book is out there. Go into your local bookshop and give them an ARC. Reviewers for the newspapers will not review until the book is on the shelves so you are bringing out a novel with author comments, rather than reviews. So you need to send copies to fellow authors in the hope they will write favourable comments. Send out letters to every bookshop you can think of. An Advanced Information Sheet is vital. This is a sheet which contains all the information a book buyer needs: a picture of the front cover, a description, who it will appeal to, the publication date, the address of the publisher, contact details, distributor details and the ISBN number. Send this to them too. Get some postcards printed up with the information on the back and the front cover on the front and send them. The blogging world is useful and generates sales. If you are part of an online writing community use this. I have stories all over the internet as well as in published magazines and hard copy anthologies and many of the people I know on line have bought Apostle Rising. They have been immensely supportive. Bloggers will tell other bloggers. It is important to have your own website and generate traffic. Getting a video ad of your novel and posting it on your site and You Tube is also useful. The sales team at Signature have been fantastic and are now chasing up the airport buyer for WH Smith. Waterstone’s have bought as have WH Smith, Sainsburys, The Book Depository, Blackwells and Foyles in the UK. Barnes and Noble have bought in the US and Apostle Rising is on Amazon. There are many other shops and on line book retailers who I notice daily are selling my novel. Amazon will find your details from Nielsen. You have to get into Gardners and Betrams if you want to sell to the major retailers in the UK. They all use Gardners and Bertrams. In the US it is Bowker. When you publish the final version make sure it is six weeks in advance of the release date as distributors like to have them in early. Print them and send them to your distributors and PR people. Now start advertising. Place as many ads as you can afford to. It is worth getting ads in Gardners and Bertrams. Placing an ad with The Bookseller is something that will get your novel noticed, especially if it is a front or back cover. A mix of hard copy ads and online ads is useful. Animated ads work well and are eye catching. Ads in trade journals are useful for generating sales at Book Fairs. You can also get a space at Book Fairs. Once the novel is published wait for the reviews and when you have some good ones re- print the novel with the reviewer comments on the back cover. Reviewers are taken seriously by book buyers. You need to be prepared to offer the retailers discounts. They are more likely to buy large quantities. If you own the rights to your novel that is not a problem. That is one of the joys of self-publishing. You will have to keep marketing it after it is out. I have already been approached for the purchase of the foreign rights for Apostle Rising. If I had taken the contract I was offered I would have no control over it and get nothing. I will get everything they are offering. I have learned every step of the way about how the publishing world is made up. Once you generate some interest things seem to take their own course. If people know you are out there they contact you. Apostle Rising is on the bookshelves of stores I have bought books in. I have received some really good reviews. If you don’t want a lot of hard work don’t do it. You have to believe in your novel. I believe in Apostle Rising and have no regrets about self-publishing, let’s hope people enjoy it.